The words 'Retreat? Hell, we just got here' have become a central part of the legend of the US Marine Corps, indicative of its reputation for dogged determination and bravery. Uttered at the height of the fierce battle for Bellau Wood, the phrase came to define the Corps, establishing their 'first to fight' ethos in the public eye. 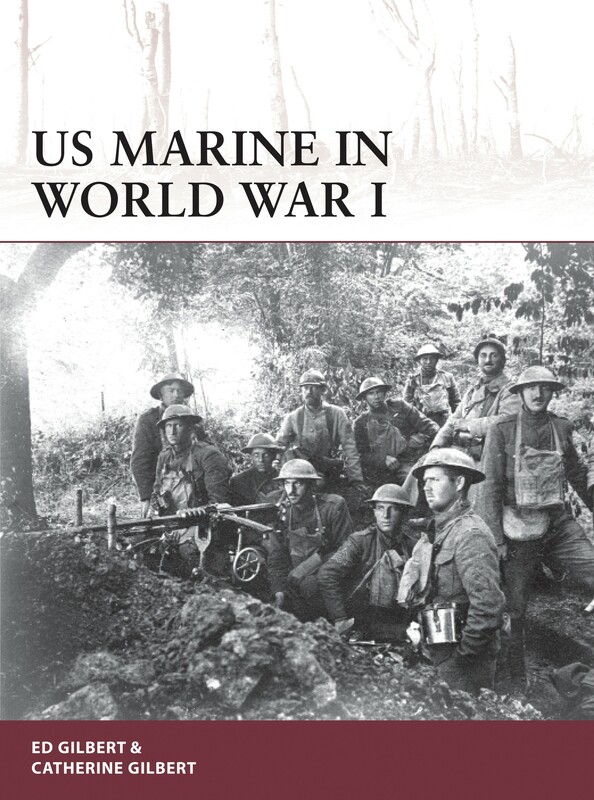 This history follows the experiences of the Marines during the Great War, from their training in the US and France through the fighting in the trenches and battlefields of the Western Front and right up to their occupation duties in the Rhineland. Packed with first-hand accounts and detailed information from the USMC History Division at Quantico, and published to coincide with the 100th anniversary of America's involvement in World War I, this is a timely analysis of one of the US Marine Corps' finest hours. A retired geologist and geophysicist, Ed has written for Osprey's Warrior, Battle Orders and Campaign series, and is the co-author of Tanks In Hell. Catherine is a retired speech pathologist and audiologist, has written for the Warrior and Campaign series, and (with Ed) is co-author of True For The Cause Of Liberty. Their current research is on the Red Stick War of 1813-14. Ed and Cathy are residents of Texas.Johnny Shumate works as a freelance illustrator living in Nashville, Tennessee. He began his career in 1987 after graduating from Austin Peay State University. Most of his work is rendered in Adobe Photoshop using a Cintiq monitor. His greatest influences are Angus McBride, Don Troiani, and Édouard Detaille. His interests include karate, running, Bible reading, history, and making English longbows.